Barbara Bologna one-size, Print Maxi T-shirt in white. 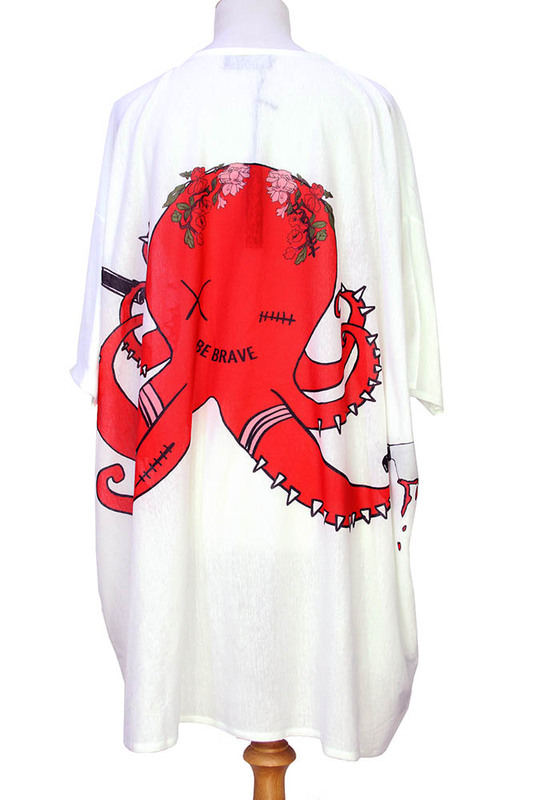 'BE BRAVE' in black on red octopus design. At the rear there is the same octopus design. Round neck with trim. Short sleeves. A lovely, long, oversized t-shirt.